for good luck! a photo by ommation on Flickr. 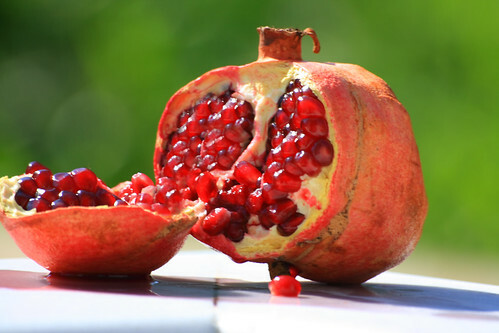 I’ve never really liked fruit, but this pomegranate seems all too nice! Also, I’m guessing a well trained Fruit Ninja, such as myself, took a slice at this!